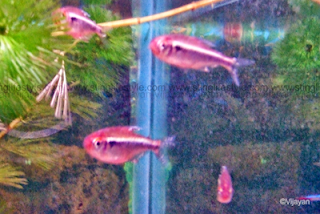 Black neon tetra is a Beautiful fish with prominent black and white stripes which stands out ina planted aquarium. 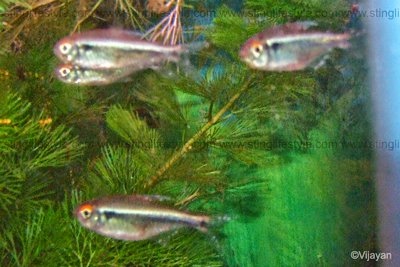 Black neon is a peaceful schooling fish for planted and community aquariums. They should be kept in groups of more than 6 per group. Black neon tetra fish prefer slightly acidic water for optimum health conditions. If the water quality is maintained and treated with live food, they will spawn easily But raising the fry is little difficult and requires proper setup. should be kept in 6 – 10 in numbers.